Martha Cove in Safety Beach has launched its fifth and final selling stage, offering a boat berth offer to entice prospective buyers. The launch of the final stage is a milestone for the development, which was brought out of receivership by Three Pillars, PPB Advisory and receivers KordaMentha. The three firms each control a different part of the project, with Three Pillars developing the Harbourside precinct. Construction of the $650 million development began in July 2013, with more than 175 homes already sold. Core Projects has already sold the first three stages, and there are very few lots yet to be sold in the fourth stage. “The fifth and final stage is one of the last chances to secure a Harbourside Terraces address and a 15 per cent saving on a berth at the estate’s safe boating harbor,” Mr Hoogenbosch said. “What’s great about this release is that, despite being the final stage, we’ve held onto some of the best floor plans and saved them until last." Stage 5 consists of 31 townhouses that come in a range of two- and three-storey floor plans, with three or more bedrooms. 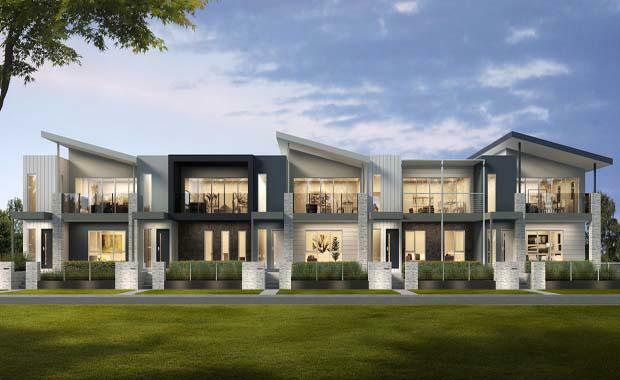 The townhouses range from 156 to 187 square metres and include double garages and outdoor entertainment balconies. The development is located within 4km of the Mornington Peninsula Freeway and within an hour of the Melbourne CBD.